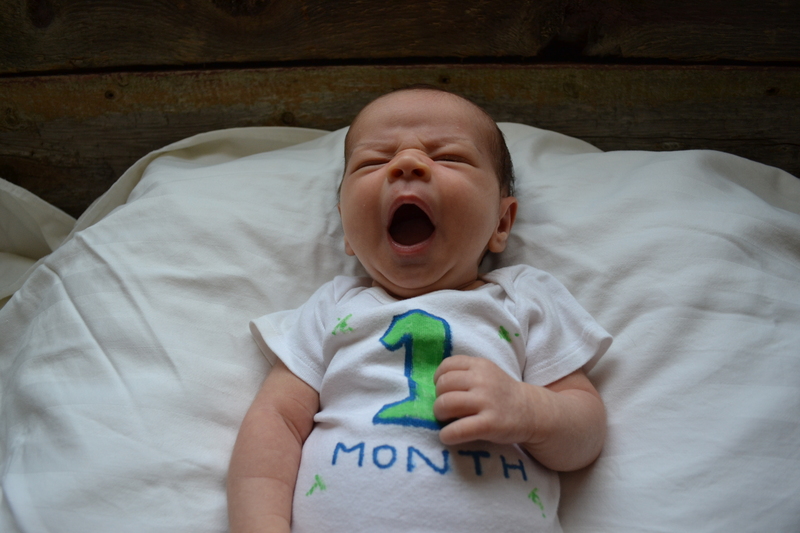 Anson is 1 month old today. 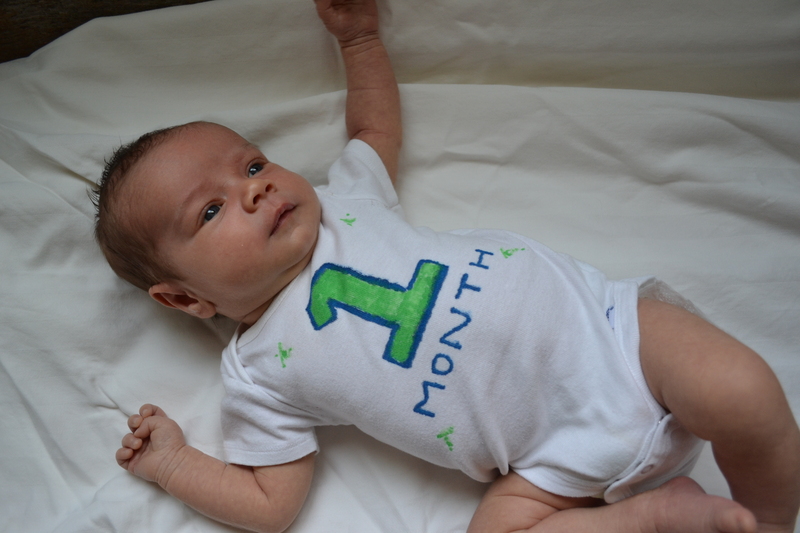 I celebrated by taking a zillion pictures of him in a custom-made onesie. Enjoy. In the year following Hudson’s birth and death, I wrote something each month on the 11th, to mark the milestones we should have been celebrating with our growing little girl. 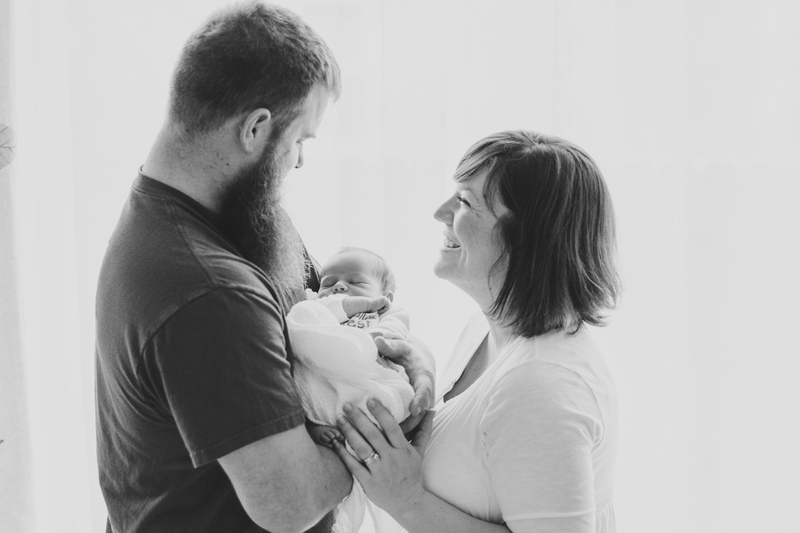 And then, we were pregnant with Anson, and Hudson’s first birthday was spent contemplating all we were missing but also celebrating her brief existence and the coming arrival of her baby brother. And with the passing of July 11, 2013, the 11th started to sting less. Sometimes the 11th of the month comes, and my mom texts me to let me know she’s thinking of us and of the joy our little girl would have brought us, and I’m surprised that it’s the 11th. This weekend a dear friend came to visit and meet Anson. Amidst the questions about nighttime feedings and diaper changes and who does Anson look more like, she asked me how I was doing emotionally. Another friend whose first child was stillborn shared with me that some of her most emotional moments over the loss of her daughter came years later, when she was caring for her infant son. 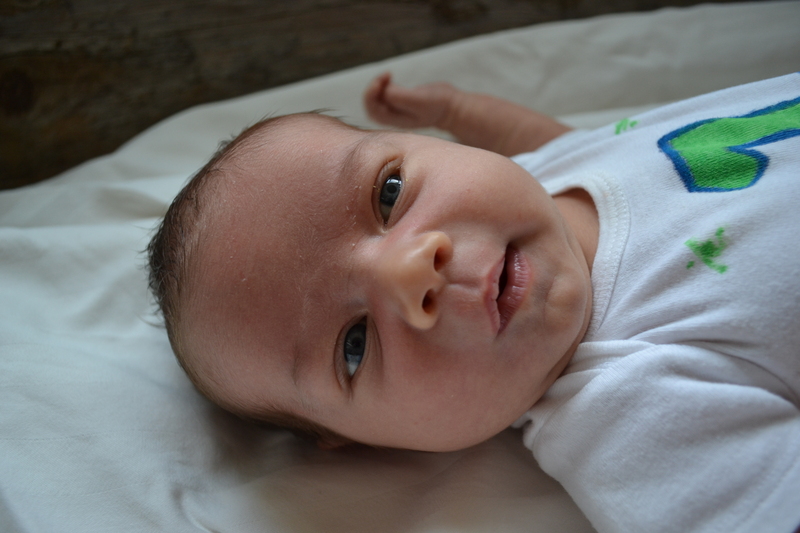 I won’t pretend that I haven’t had countless thoughts of our beautiful girl since the birth of our son. But I’m so filled with joy over the little guy that I don’t have a lot of room for sadness over the missed moments with Hudson. If anything, all these moments are made more beautiful knowing how precious they are, how much we would have given to experience them with Hudson. Back to my friend’s question: How are you doing emotionally? 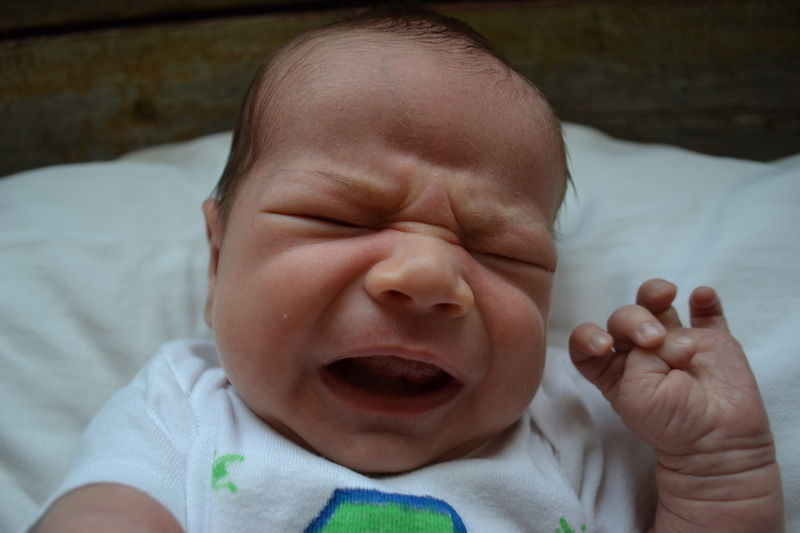 Let me be clear, Anson’s arrival doesn’t fix Hudson’s far-too-early departure from our lives. Hudson’s life is its own beautiful part of our story, just as Anson’s life is a new and wonderful chapter, and he is his own unique person. We experience Anson’s life more fully because of his big sister, but I want to be careful not to tie the two too closely to each other. My hope for Anson is that he always knows how much he is wanted, how much he is loved, in his own right and not just because his big sister died. 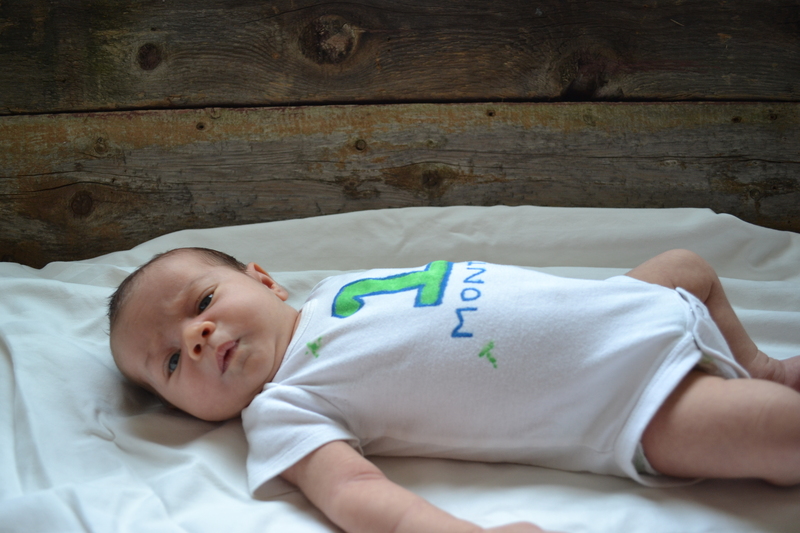 So today, the 11th, gets to be the day that Anson spit up on 3 outfits and went through 3 diapers in an hour. 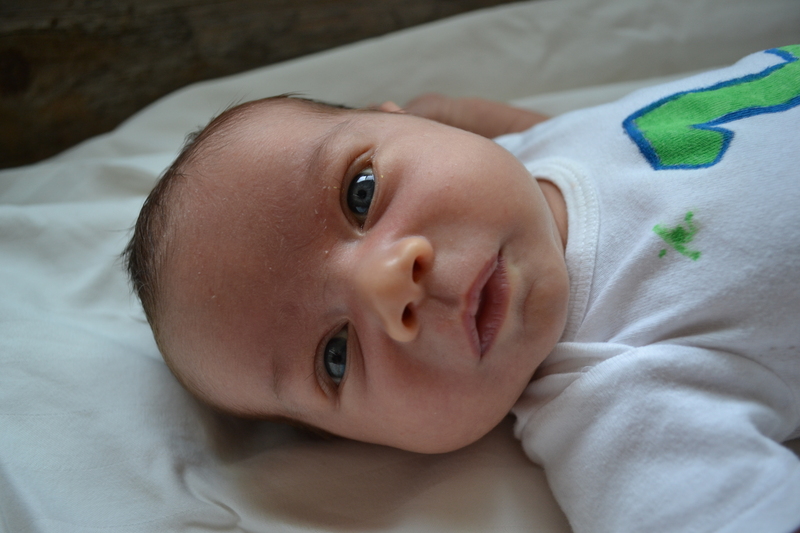 It also gets to be the day his big sister Hudson would have been 20 months old. This life doesn’t give us only beautiful experiences. It’s up to us to find the beauty in all of life’s experiences. Get your Hudson’s Heroes Teeshirt!